3 course meal and Murder Mystery! Join us for our amazing interactive Murder Mystery and you will join a cast of colourful characters all set on dining with death! A death in the family can be heart-breaking. But heart stopping? That’s a different matter. 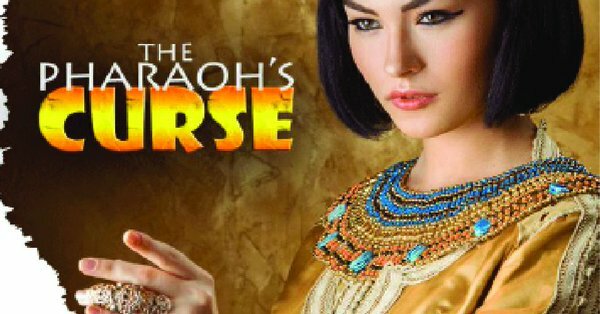 When famous Egyptologist Giles Fothering-Smythe dies suddenly the verdict on the cause is unanimous: “The Pharaoh’s Curse” finally came true! But who will inherit the curse now the old man is dead? What price can you put on survival? Tonight you’ll find yourself bidding in an auction to find out. Dare you bid again for the answer or will it see you going, going, gone! If the price is right… you might just survive! 3 course meal and after dinner background music included. Please note this is a joiner event and you may be sat with other groups of guests.